Popular Chinese smartphone manufacturer Xiaomi is hogging the limelight after several analyst reports have pointed to its rapid growth — among them Kantar and Strategy Analytics. Now another research firm, Canalys, has offered up even more evidence of Xiaomi’s popularity — in the second quarter of 2014, it found that Xiaomi recorded a 14 percent market share in China on the back of 240 percent year-on-year growth, overtaking Samsung in terms of volume of smartphones. This was the first time Samsung slid to second place in China since Q4 2011 and came after a 15 percent year-on-year decline. Wang also noted that Xiaomi’s budget Redmi smartphone range was the driver for growth. Indeed, the Redmi is Xiaomi’s best-selling device to date. 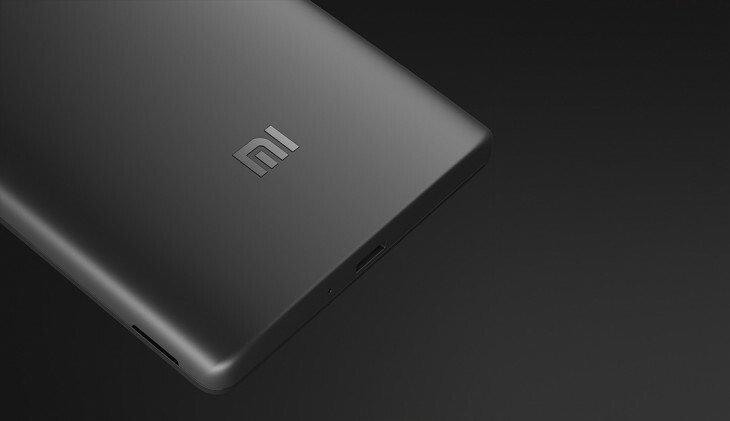 In a recent launch event, CEO Lei Jun noted that it has sold 18 million units of the Redmi so far. 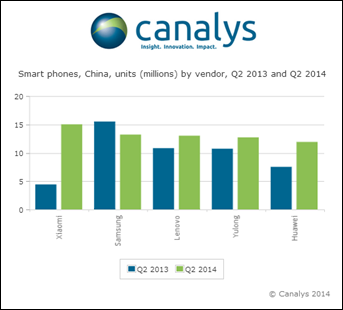 Canalys found that China remained the world’s largest smartphone market in Q2 2014, accounting for 37 percent of global shipments, or 108.5 million units. Samsung and Apple were the only two international smartphone vendors in the top 10 for China, representing a cumulative 18 percent of the overall smartphone market share with shipments of 20 million units. 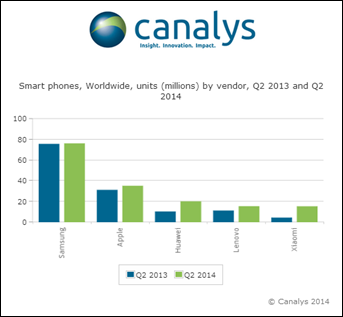 Meanwhile, Canalys said that 292.4 million smartphones were shipped globally in Q2 2014, up 23 percent from the previous year and 5 percent from the first quarter. Samsung still retained its top position globally with a 26 percent share, though Canalys noted that it was the “lowest global share in two and a half years,” down from 31 percent in the previous quarter. Apple came in second with 12 percent market share. Because of Xiaomi’s strong growth in China, Canalys found that it also made it into the global top five smartphone vendors in Q2 2014, accounting for a 5 percent share. This is in line with Strategy Analytics, which found that Xiaomi made it into the world’s top five vendors for the first time ever.